Into the bins we go . . . 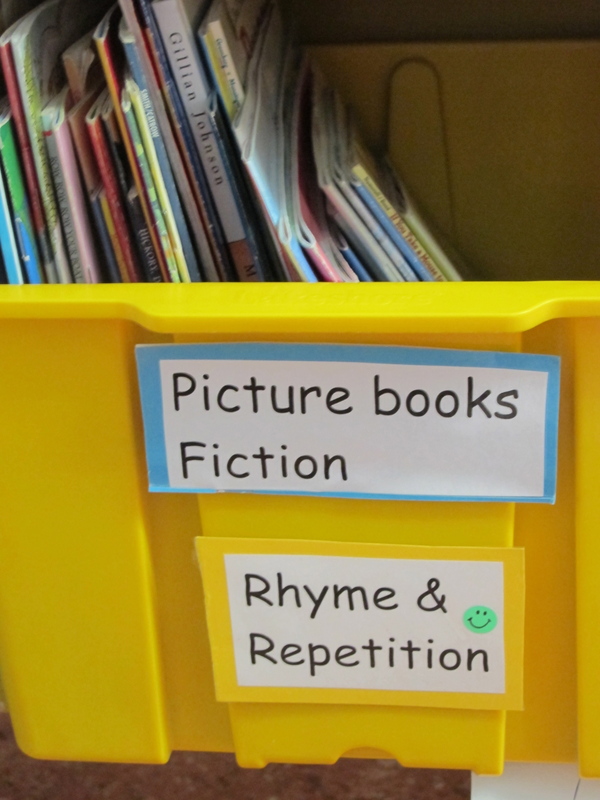 I brought out this bin and students predicted that many of these titles would have rhyming parts and selections of text that repeated (the title of the bin made this prediction a pretty easy one :-)) I read a few pages of a few books to model exactly that. We identified how often ending words rhymed and that sentence structure or specific phrases repeat. 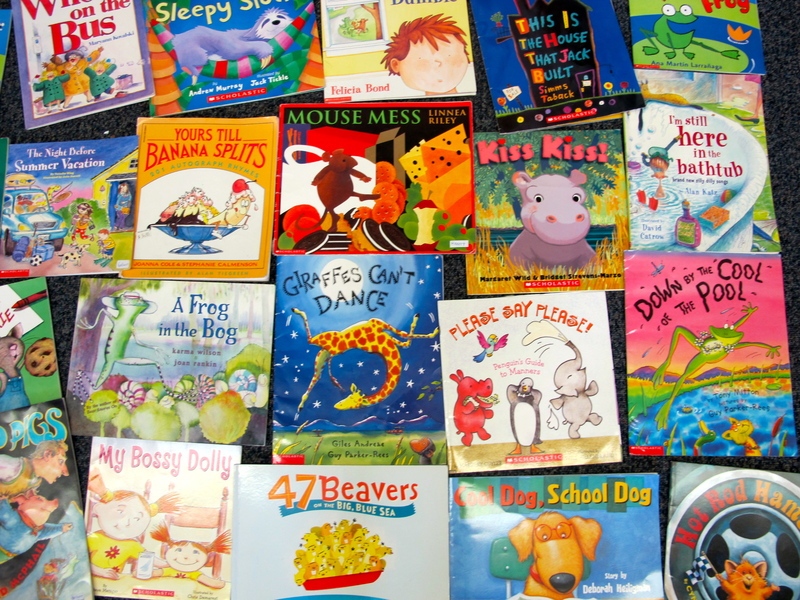 Students then helped me spread the books out on the carpet and every child spent fifteen minutes reading a variety of titles from this set of books. 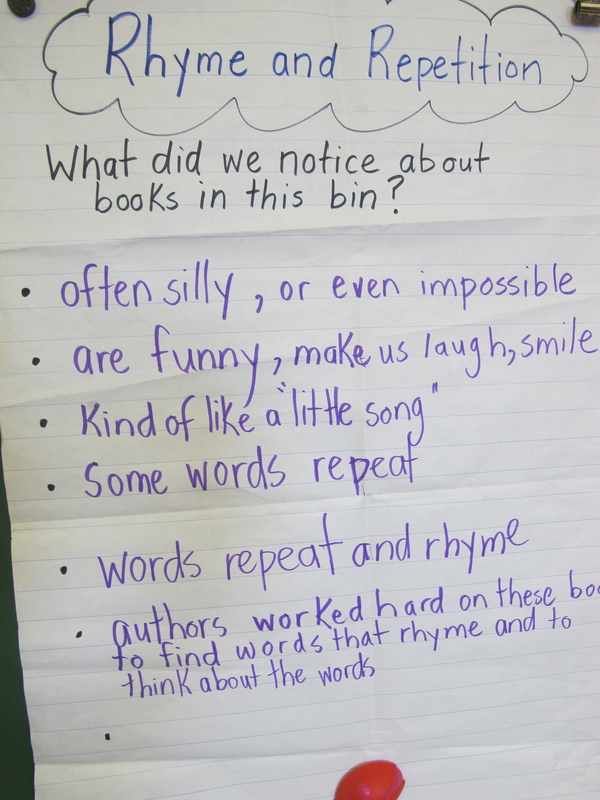 Our list definitely included the rhyming and the repeating but students started with the fun aspect of the stories pointing out that they were often silly, farfetched and funny. It was clear that the word play brought a lightness to the books. 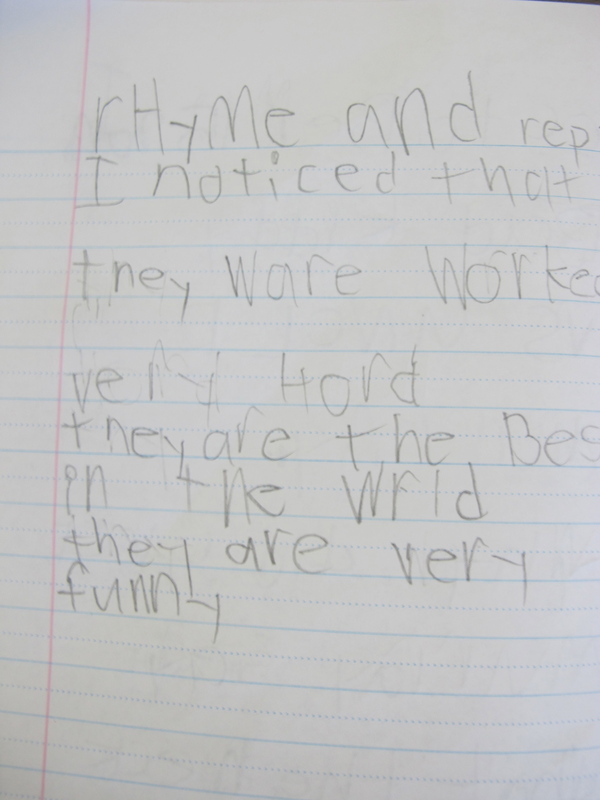 One student even commented that the authors would have to work very hard to make all the words work together. 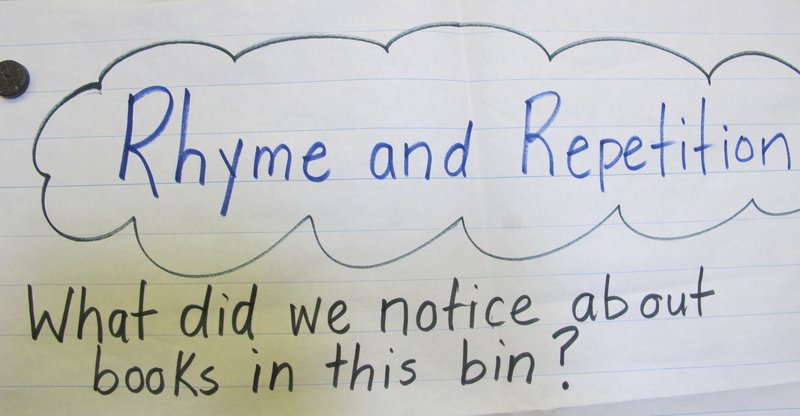 Today during independent reading, some students returned to this bin. It’s all in exposing students to new titles and genres to broaden their reading choices. Each week, I plan to introduce a different bin of books and follow a similar process. It’s a great opportunity to work on our reading stamina and increase our knowledge of book choices. This entry was posted in Classroom Views and tagged fiction, great read alouds, picture books, reading, rhyming text by carriegelson. Bookmark the permalink.